I’m going on vacation for two weeks and this blog will be mostly silent – unless some sort of massive news breaks regarding the Mariners or Rainiers, forcing me to put down my umbrella-topped cocktail and start typing. That being said, I do intend to resurface long enough to post my Sure-To-Be-Wrong MLB Playoff Predictions after the regular season ends. Look for that on October 4 or 5. Keep this page bookmarked – I’ll have plenty of off-season content once I return, leading off with the hotly anticipated stadium renovation photo post. In the meantime, if you have anything you would like to see here during the winter, go ahead and post your suggestions in the comments below. It’s the first of the off-season, but low and behold, a couple of Rainiers stories turned up on the internet today. And the same author had a different story, with a lot of the big-picture stuff in Tacoma, over here. A correction, though: the Rainiers won 74 games in 2010, and that isn’t even remotely close to a franchise-high. Larry LaRue wrote about Dan Cortes and his major league debut. In The News Tribune, Larry LaRue got lots of Ichiro quotes in his Mariners game story. Larry Stone analyzed Ichiro’s ten straight 200-hit seasons, and he wondered how many career hits Ichiro is capable of? John McGrath also wrote about Ichiro. The losses are clearly getting to Johnny Mac. Stone also wrote that by taking a 1-0 loss, Felix Hernandez may have helped his Cy Young candidacy. Jeff Sullivan at Lookout Landing agrees. Even Buster Olney took a break from the pennant races and wrote about yesterday’s M’s-Jays game. Larry LaRue caught up with former Rainiers pitcher Brandon Morrow. The Mariners had the #6 and #18 prospects in the Appalachian League. Ramon Morla got a lot of mentions this season while I was doing the daily Mariners Farm Report in my pre-game show. On this list, Morla is surrounded by first round draft picks. Here is a great story – from the grave, Bing Crosby has made a tremendous contribution to baseball history. This New York Times piece is highly enjoyable reading. In the PCL, Round Rock promoted Dave Fendrick to take over as team president, and they hired former Nashville general manager George King as GM. Busy news day in Mariners Land! Well, it’s my first day of the off-season, and here I am waiting for my car to be repaired while watching the 2010 Pacific Coast League champions (with ringers at starting pitcher and right field) take on the Toronto Blue Jays. The News Tribune had a story about the final round of call-ups. At the Seattle Times site, the level-headed Larry Stone put up a Josh Lueke poll. I voted “yes” for the exact same reasons as Mr. Stone. I have worked in basebal my entire professional life, and this is the first time I’ve ever heard of a player undergoing “bunion surgery.” I’ll admit it, I LOLed. Oakland rookie Chris Carter hit his first major league home run. I’ve been predicting stardom for Carter ever since he launched four HRs against Tacoma in four playoff games for Sacramento in 2009. My final out call for the PCL championship is now available at www.tacomarainiers.com right on the homepage, under the “Multimedia” tab below the main story box. I’m happy with the call – it’s one of those thing that you think about before the game even starts, but you can’t rehearse it, and you can’t plan ahead what you are going to say – you will simply sound phoney if you do that. As an announcer, all you can do is react, and hope it comes out OK. The Pacific Coast League champion Tacoma Rainiers were unable to win the Triple-A National Championship game, falling to International League champion Columbus by a 12-6 score on Tuesday night in Oklahoma City. The Rainiers simply ran into a juggernaut. Starting with the International League championship series against Durham, Columbus scored 49 runs in its last five games, twice had a 20-hit game, and then connected for 19 more hits last night. Columbus outfielder Jerad Head won the Bobby Murcer MVP Award, driving in four runs. After the game four players got the call to Seattle: Mike Carp, Matt Mangini, Greg Halman, and Anthony Varvaro. All except Carp are making their first trip to the majors. In all, it was a highly satisfying season. Tacoma won its first outright PCL title since 1969. The team took a huge lead in the standings with a veteran team, saw the stars get promoted to Seattle, and held on to win the division with a very young group of prospects who will likely anchor the 2011 Rainiers. Ponder this for a moment: Tacoma held off Salt Lake and clinched the division title with three 21-year-old starting pitchers in the rotation for the final month of the season. The Rainiers became road warriors for the playoffs. The team rode a Ryan Feierabend gem to a Game Five win over Sacramento to advance to the finals, and then went home-run crazy by belting 11 taters in a three-game sweep at Memphis to win the crown. Appropriately enough, it was third-year Rainiers pitcher Andy Baldwin who earned the win in the clinching game, tossing scoreless relief in extra innings. Today the team scattered to spots all around the globe. Some players went to the majors. Others went to Mariners instructional league, which started on Monday in Peoria, Arizona. Manager Jose Castro went to instructs, too. Many Rainiers are going to play in the Venezuelan Winter League, where the Mariners have a working relationship with the Lara club – Castro and pitching coach Jaime Navarro will be on the coaching staff. Other players drifted into their off-season with no specific plans. Some are six-year minor league free agents, and will be free to sign with any club. David Winfree, Tug Hulett, Baldwin, and Scott Patterson are among those who fall into this group. It’s always a little sad when the season ends, and this year was no different – even with the PCL championship. This blog will continue during the off-season, but updates will be more infrequent. Not daily anymore – probably 2-3 updates a week. I’m going on vacation for two weeks, and then will return with Cheney Stadium construction updates (with photos! ), off-season Mariners moves, maybe some sure-to-be-wrong MLB playoff predictions, and whatever else comes to mind – I actually have a list of off-season subjects sitting on my desk at home. We will have content here all off-season. I may even work on that FAQ that has been “Coming Soon!” for seven months. Here is the Triple-A National Championship Game story from The News Tribune. The Daily Oklahoman added a notebook from the game with a few Tacoma tidbits. Baseball America was there, as well. The esteemed John McGrath tackled the Felix Hernandez for Cy Young argument. A Mariners teenager was voted #1 prospect in the Arizona Rookie League. Elsewhere in the PCL, the proposed new stadium in Escondido is meeting some opposition. Las Vegas re-upped for two years with Toronto, and Sacramento signed a four-year player development extension with Oakland. So, the PCL’s only affiliation changes were in Round Rock and Oklahoma City, which swapped Texas and Houston. I’ll post a link to the championship radio call when it is live. Thanks for reading all season, and check in often over the Winter! Today is the final day of Minor League Baseball in 2010. The other leagues have all completed their playoffs, and only one game remains: the Triple-A Baseball National Championship Game, tonight at beautiful Bricktown Ballpark in Oklahoma City. It’s the Pacific Coast League champion Tacoma Rainiers against the International League champion Columbus Clippers in a game that starts at 5:05 pm Pacific time. The game will be televised live on Versus, and there will be a nationwide radio broadcast which will be picked up by South Sound Sports 850 AM in Tacoma (see my thoughts on the broadcast in yesterday’s post below). Tacoma starts LHP Ryan Feierabend (4-7, 5.30), who had is best start of the season in Game Five of the Pacific Conference Finals against Sacramento at Safeco Field. In that game Feierabend allowed just two hits over eight innings as the Rainiers won, 4-1, and advanced to the PCL Championship Series. Feierabend did not pitch in the Rainiers sweep of Memphis in the Championship Series – he was slated to start Game Four, but the series didn’t go that long. Columbus is starting LHP David Huff (8-2, 4.36). Huff has quite a bit of major league experience in the last two years, including 15 starts this year in which he went 2-11, 6.21 for the Indians. One good sign for the Rainiers: Huff has had a reverse platoon split this season, getting right-handed batters out more frequently than left-handed hitters. The Rainiers are going to have no choice but to load up the lineup with lefties, so this could play into Tacoma’s favor. The Cleveland Indians Triple-A club is a lot like the Rainiers: they had a lot of veteran players get called up in the middle of the season, and they were replaced by younger prospects. Columbus is not as young as Tacoma, but they have a lot of Indians-drafted prospects who are playing in Triple-A for the first time in their careers. Columbus won the wild card in the International League (they have three divisions and a wild card in the IL), and then took the Governor’s Cup for the first time since 1996. Columbus beat Durham in the IL finals, three games to one. Two of the games were total blowouts – Durham had trouble stopping Columbus from scoring. The Clippers had 20 hits twice in the four-game series, and as a team they batted .365 while out-scoring Durham 37-10 in the series. During the regular season, Columbus led the IL in batting average and ranked second in runs scored. Columbus has one familiar face: outfielder Ezequiel Carrera, who opened the season as Tacoma’s leadoff hitter before being traded to the Indians on June 26 for Russell Branyan. Also, the Clippers feature catcher Luke Carlin, who has been a PCL mainstay the last four years with Portland and Reno. It will be a fun game: each team will have the entire pitching staff ready to go, and each club will leave it all on the field since there truly is no tomorrow. The News Tribune ran a preview story featuring Matt Mangini. Mariners class-A affiliate Clinton lost the fifth and final game of the Midwest League Championship Series. Yoervis Medina pitched a complete game but lost, 3-1. Oklahoma City signed a Player Development Contract with the Houston Astros. The Fresno Grizzlies have a new Chief Executive. Jason Churchill posted his Mariners “Prospect of the Year” awards. Off to the ballpark for the final time this season! The Rainiers have been here in Bricktown since Saturday night, waiting for the Triple-A National Championship Game which will be played at Bricktown Ballpark on Tuesday night. It’s the Tacoma Rainiers against the Columbus Clippers in a one-game cross-league playoff. The game will be at 5:05 Pacific time on Tuesday, with Columbus acting as the “home” team. The game will be televised live on the Versus Network, and we’ll air the awkward national broadcast on 850 AM. Tacoma is going to start LHP Ryan Feierabend against Columbus LHP David Huff. The Rainiers have already done what they set out to do: win the PCL Championship. This one-game playoff against the International League has the feel of an exhibition – from the neutral site, to the broadcast plans, to the one-gameness of it. However, once the teams take the field I’m sure they will be fighting 100% to win it. The TV broadcast will feature PCL announcers Mike Capps (Round Rock) and Jim Byers (Oklahoma City), along with analyst Chris Chambliss. On the radio side, I’ll be calling the game with Columbus Clippers broadcasters Scott Leo* and Ryan Mitchell. We’ll be trading off innings, and it will be a national broadcast that will be fed into every Triple-A city – each of the 30 Triple-A team’s flagship station will have the option of airing the game. Of course, South Sound Sports 850 AM will carry it, and I suspect it will be streaming all across the internet. This national radio broadcast is part of what makes the game feel like an exhibition game. Do the Columbus fans want to hear me getting all excited for every Rainiers home run? Of course not. And do you want to hear the Columbus announcers getting all worked up when Clippers centerfielder Ezequiel Carrera slaps us silly with a bunch of bloop singles? No, I don’t think you do. See what we’re dealing with here? Anyway, while I pride myself on taking only a “slight homer” stance during all Rainiers broadcasts, I’ll be forced into extreme neutrality for this broadcast. So, if Columbus scores during my innings, I will be expected to feign excitement. Sorry, guys. I assure you it won’t be heartfelt. The teams have a workout day today, and this evening there is a “Gala” at a place called the Wormy Dog Saloon. 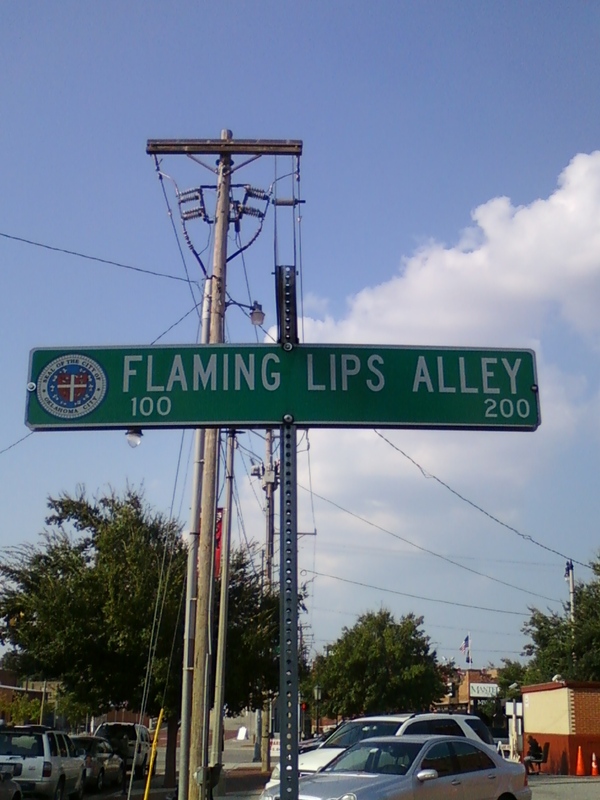 I did not make that up – this is how they roll in Oklahoma City. The Mariners called up Justin Smoak and Dan Cortes after the Rainiers won the PCL Championship. I suspect a few others will get the call after Tuesday’s game. Mariners manager Daren Brown talked about Felix Hernandez’s final starts of the year. On another subject, I have lost track of Brown’s won-lost record as manager. It’s taken a beating over the last two weeks. The Mariners won on Sunday, taking the series two games to one against the first-place Rangers despite scoring a grand total of 5 (five) runs in the three games. The M’s Low-A Clinton affiliate is going to a fifth and final game of the Midwest League Championship Series. Outfielder James Jones is having a big playoff series. Game Five is this afternoon at 3:30 Pacific; if you are interested in this you can hear Clinton broadcaster Dave Lezotte streaming online. I am surprised how many people asked me where they could hear my call of the final out of Friday’s game. I tried to post it on this blog but apparently we do not have that option available. So, I sent the file it to our web people and they will eventually put it on the Rainiers home page – but it’s not up yet (much of the Rainiers front office staff is traveling to OKC today). I’ll link to it when it’s live. * I will definitely be asking Scott if he is related to Ted. You are currently browsing the Booth, Justice and the American Pastime blog archives for September, 2010.